Anything you've ever wanted to know about the characters in Invincible, but were afraid to ask. Power levels, hometowns, relatives, origins, shoe sizes... it's all here. 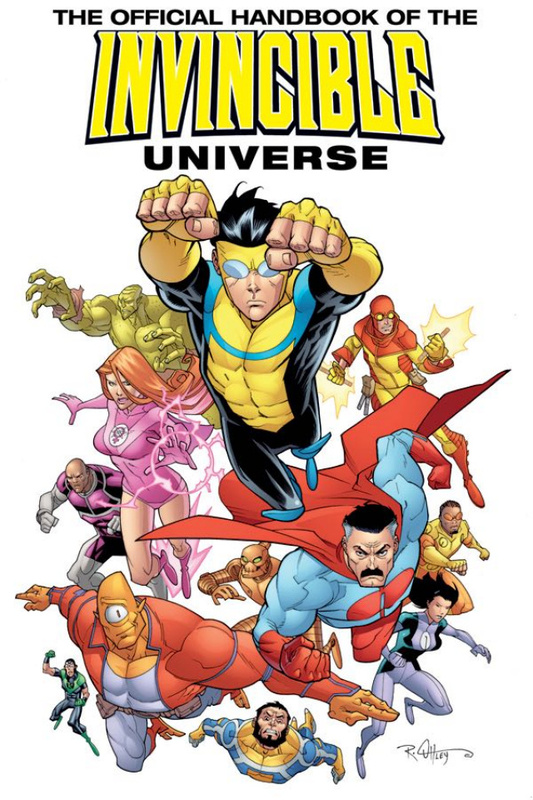 Written in the tradition of that other famous handbook, The Official Handbook of the Invincible Universe features drawings from some of the top talents in comics and animation.